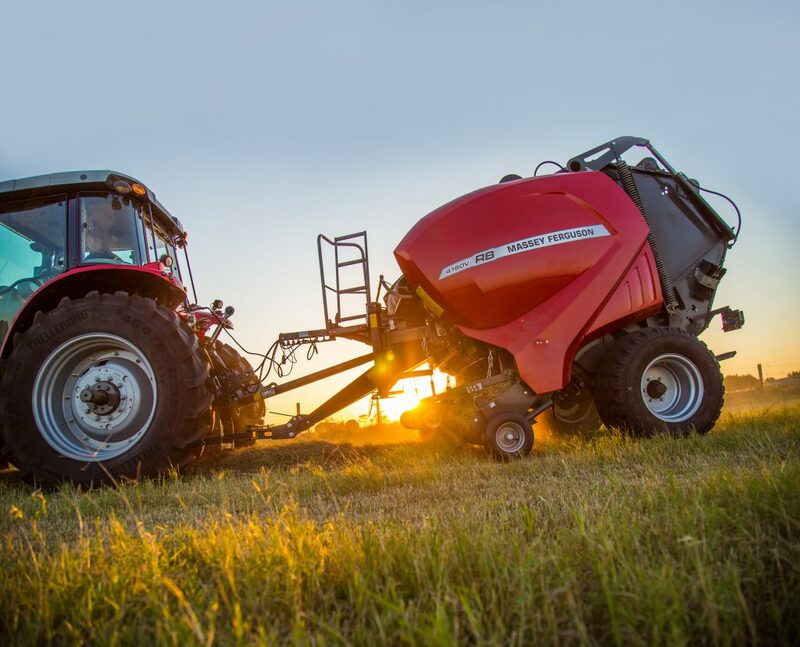 These new round balers have longer, thicker and more flexible tines built to last longer and pick more crop up off the ground. Look at the RB Series pickup and you first notice offset tines on the ends. This allows consistent pickup to feed the crop flow augers and give you square, shouldered bales. Five tine bars with teeth spaced just 2.5 inches apart are now fitted to the pickup so you get cleaner, more complete crop intake. Massey Ferguson engineers also adjusted the tine angle so you get the cleanest possible crop pickup under all crop and soil conditions. Plus, the new pickup is positioned closer to the rotor for better crop flow to the bale chamber that gives you consistently well-shaped, more uniform bales. We see it every year. Harvest time is limited and sometimes operators stretch their baler’s limits, ending up with time-consuming blockages. These new balers with a chopping unit come with a two-stage anti-blockage system and flexible feed chamber floor to reduce and resolve blockages. Here’s how it works: The HydroFlex Control™ system is under the rotor where the feed passage is at its narrowest, so the front part of the feed chamber floor can flex up and down. If the swath picks up small foreign objects or wet lumps of material, the flex smooths out the crop flow. Plus, if there is a blockage, you can hydraulically lower the rear of the feed table floor from your seat in the cab. This withdraws all the knives to make sure the blockage passes into the bale chamber without any waste before the machine re-engages. The innovative cam-less pickup design allows higher operating speeds in a wide range of crop types and moisture levels. Cut, rake and bale — all in one day. A crop press roller is positioned in front of the pickup to enhance crop feeding into the chamber. SILAGE, HAYLAGE, OR HAY Two sets of XtraCut™ hydraulically operated knife banks can be controlled or disengaged from the tractor cab. Select zero, eight, nine or all 17 knives to attain forage cuts as small as 2.65 inches in length. MORE OPERATOR CONTROL The E-link Pro™ touch-screen monitor tracks bale formation and allows in-cab control of cutter engagement and knife group selection. In addition, the baler’s ISOBUS design allows the use of any compatible tractor monitor for baler monitoring and control. LESS MAINTENANCE AND FEWER ADJUSTMENTS Because there’s no cam track, the pickup has fewer moving parts — making it quieter, simpler and more reliable than cam-style pickups. That makes you even more productive. IT’S SIMPLE: FEWER BALES MEANS LOWER COSTS. For every bale you make, you’ve got to move it and store it. So the the heavier and denser you make your bales, the more time and money you save. You can make compact and heavy bales all day with the RB Series. 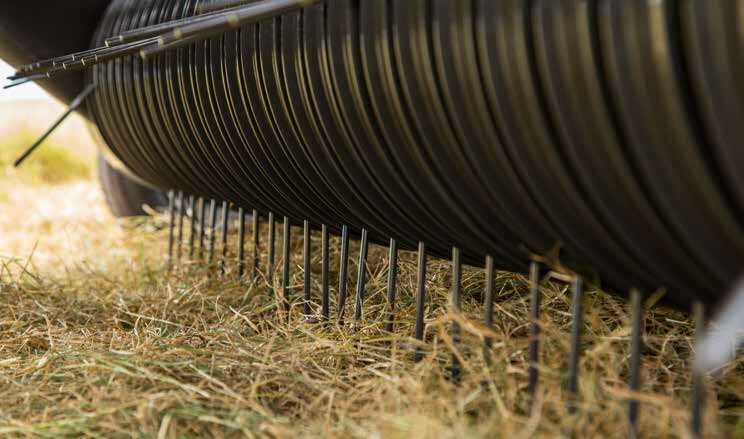 A constant pressure system ensures an equally dense bale as the bale is made. Four continuous belts provide maximum traction while the bale forms. A mechanical tailgate makes sure the chamber stays tight while a bale forms, which also helps with bales being uniform. Ready to put a new 4100V Series round baler to work on your farm?  Come visit us at Maple Lane Farm Service, or contact us to learn more.